What Does Code P0716 Mean? In the modern automatic transmission, most functions have ceased to be driven purely hydraulically. At its core, it still uses hydraulic pressure to engage and disengage gear positions, but electronic sensors and actuators have taken over much of the everyday operation of the system. 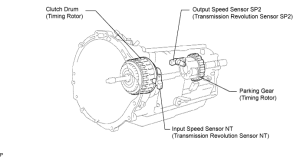 The transmission control module (TCM) may or may not be separate from the engine control module (ECM), and is responsible for the operation of the automatic transmission, including torque converter operation, pressure regulation, gear positions, and self-monitoring. 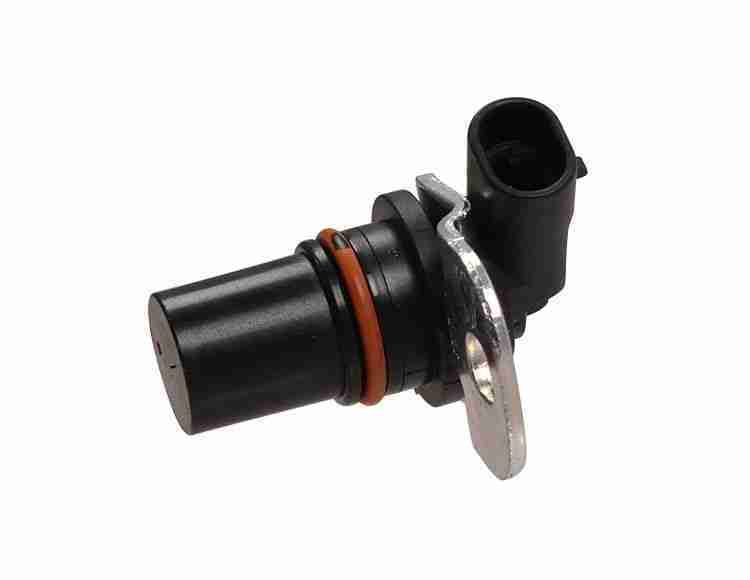 Some of the principal sensors that the TCM uses to control and monitor automatic transmission operation are the input and output speed sensors, as well as the engine speed sensor (RPM), from the ECM. Aside from using these sensors to control clutch and brake pressure, engagement, and timing, it can use this information to determine the condition of the brakes and clutches and confirm the operation of the transmission. For example, if the TCM commands torque converter lockup, it would expect to see RPM and TSS (turbine speed sensor) to be equal. Similarly, if the TCM commands 3rd Gear, it can calculate that output shaft speed should be a certain percentage of TSS speed. 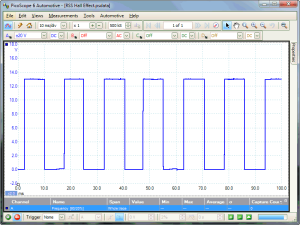 If there are differences, usually lower speed than expected, the TCM would flag this as a fault in the transmission. The TCM also monitors the turbine speed sensor itself for problems, which it would expect to find in a certain range and change speeds at a certain rate. If the TCM detects problems with the TSS or TSS circuit, it will set a diagnostic trouble code (DTC) in memory and command the ECM to illuminate the check engine light. Usually, in the case of DTC P0716, “Input/Turbine Speed Sensor Circuit Range/Performance,” this refers to an unstable or intermittent signal, perhaps no signal at all, depending on the automaker’s specific programming. Additionally, DTC P0700, “Transmission Control System Malfunction,” may be set, simply an informational code regarding a problem with the TCM. What are the common causes of code P0716 ? Depending on year, make, and model, DTC P0716 may have number of causes. Here are some of the most common. 2007-2009 Saturn Outlook – These vehicles suffered a weak internal transmission component, which would break and result in a number of transmission DTCs, including P0716, P0717, P0776, P0777, P2714, P2715, or P02723. Because of the wave plate failure, possibly in combination with the failure mode, these transmissions would suffer from reverse gear lockout or slipping or harsh engagement in 3rd or 5th Gear. What are the symptoms of code P0716 ? Aside from the CEL, and depending on specific TCM programming, a failure in the TSS circuit may be accompanied by harsh shifting, locking out certain gears, poor performance, or poor fuel economy. You may notice no drivability problems at all, but this is not common. 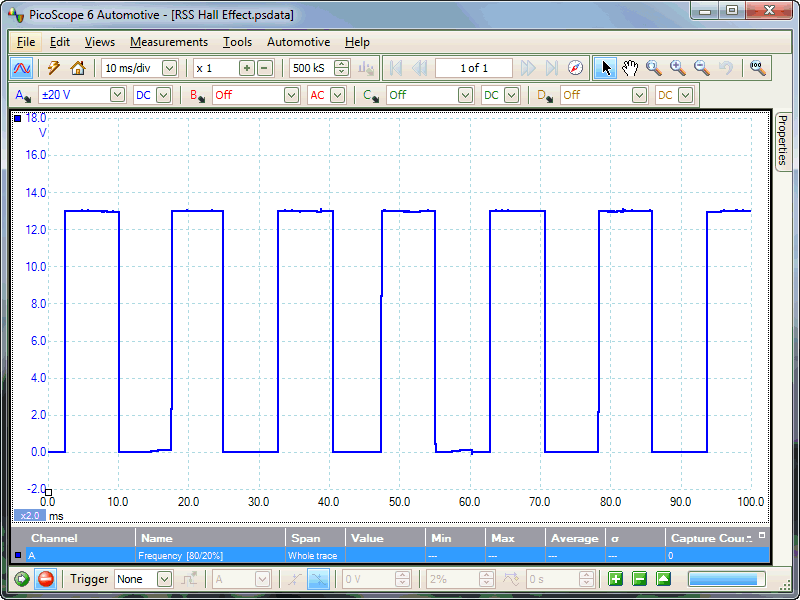 How do you troubleshoot code P0716 ? Because this DTC generally describes a circuit problem, you will need to use a DVOM to check for problems in the TSS circuit between the sensor and the TCM. Most TSS are mounted on the transmission housing, which makes the easily accessible, but also makes their connectors easily damaged, either physically or by water intrusion. Also, it does one good to note that most TSS are of the three-wire type, including 5 V reference, ground, and signal wires. The TSS senses a reluctor ring, which it uses to send a speed signal to the TCM. Check the TSS connector for corrosion, water intrusion, or damaged pins. Any of these faults can cause excessive resistance or an open circuit, interrupting or distorting the speed signal. Repair as necessary. With the key in the “On” position, use a DVOM (digital volt-ohm meter) to back-probe the TSS connector and check for 5 V reference and 0 V to ground, on their respective circuits. If you note any problems, recheck the same at the TCM. Two-wire TSS can be tested by back-probing at the TCM and test driving the vehicle, checking for voltage to increase with engine speed. Continuity checks should be done with TCM and TSS disconnected, to avoid damaging the TCM. Repair any faults as needed. If there are no circuit problems, you may need more advanced diagnostic tools to approach sensor diagnosis, such as a digital oscilloscope or specialized component tester. Some DMM (digital multi-meter) offer such advanced functionality. The best way to test the TSS is by back-probing the connector, at the TCM, and going on a test drive. Compare engine RPM, usually the crankshaft position sensor (CKP) with TSS, and you should be able to see the signal to increase and decrease with engine rpm. If you see any problems with the signal, such as dropouts or changes in voltage, recheck the wiring harness before condemning the sensor. This may be an intermittent problem and may require multiple diagnosis attempts before the fault can be positively identified. Be patient and methodical to have the best chance of discovering the fault. Where is the trans. input shaft speed sensor located on a 2001 Grand Prix se?